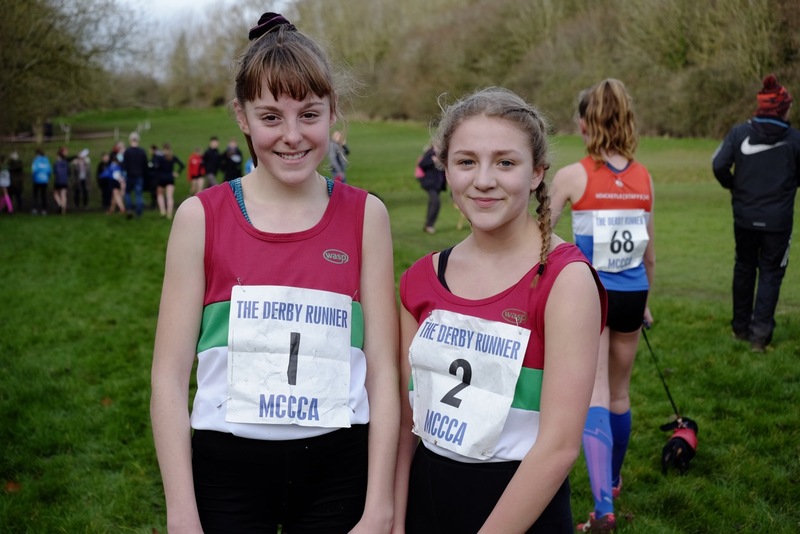 Banbury Harrier Tilly Lainchbury finished a very satisfying 6th place at Midland Cross Country Championships held at Newbold Comyn, Leamington Spa on Saturday. It was a very tight start with 121 U13 girls all jostling for space, and Tilly found it hard to get into her running, but by the half way point she had moved herself up to 8th place. Obviously enjoying the muddy ditch, wooded areas, hills and fast, flat golf course area the course provided, Tilly had got herself into 6th place before the long drag up to the finish. She had worked hard all the way round and was tiring badly but managed to hold off a strong challenge before crossing the line in 6th place. Despite being nervous at the start by the championship feel and numbers in the race, Freya Pamphlett proved her fitness and came home a satisfied 97th. The U17 Mens race is always keenly challenged, and Owen Knox set off well, staying with the lead group of 8 runners. He was still looking full of running at the half way point, and although the group had strung out he was hanging onto the back of them well. Suffering with stomach issues in the last part of the 6km race he lost ground, and wasn’t able to hold off some fast finishers, but was content with his finishing place of 15th in what was a strong field in a championship race. U13 Boy Sam Davis started conservatively, and at the half way point was about mid pack. Showing good endurance he picked off athletes through the second half of the race, finishing a good 42nd place of the 114 finishers. Another Harrier to finish well was Katie Pamphlett in the U17 Womens race. Encouraged not to loose ground on the athlete in front of her, she gradually reeled her in and finished well in front of her, in 35th place. The only two senior athletes out were Ros Kelling and Jonny Carruthers. Both enjoyed the added distance (8km and 12km respectively) and the variety of terrain. Ros finished 92nd of the 263 finishers, and Jonny 289th of 403 finishers.